VP & Director Sótéria Kingdom Life Ministries International Inc.
Mrs. Williamson-Mack has been the Director of a Battered Women's shelter where she worked on the Steering Committee for the Mayor's Task Force Against Domestic Violence. She is a certified Gatekeeper Instructor of the QPR Institute. This certification equips her to teach suicide prevention training locally and internationally to adults and teenagers. She has received three certificates from Johns Hopkins Bloomberg School of Public Health in the area of Mental Health Disaster Preparedness & Self-Care. She previously was the CEO of her own Multi-Cultural counseling service. Part of her credentials include certification from the Missouri Dept. of Mental Health as a Children’s Adolescent Functional Assessment Scale Trainer. In her career she ran a private counseling practice as well as maintaining multiple state agency, EAP and mental health counseling contracts. ​She is a published author. Her third book is a "My Bear's Friend Has A Secret", is a clinical multi-level curriculum which enables parents and professionals prevent childhood sexual abuse. Her childhood sexual abuse prevention materials are available at www.beaconpsyched.com, click the on the childhood sexual abuse prevention resources tab. She has a masters degree in counseling and she is a licensed professional counselor. Her clients' diagnoses included schizophrenia, depression, and anxiety disorders.Her career in with clients spans over 30 years in the area of psychology working with women, families and children. She has been a National Drug Court Speaker. She was program manager for Mental Health Court and she has received multiple certificates from RAINN.ORG. She also has a certificate from Dating Matters: Understanding Teen Dating Violence Prevention. Her resume includes 26 years as a conference speaker who loves teaching, sharing, and evangelizing the word of God. Her passion in ministry gifts includes deliverance and inner healing. She has over 9 years’ experience in women's in-home groups with emphasis on inner healing, counseling and ministering to pastors' wives and women in church leadership. In addition, she has over 7 years’ experience in a dual leadership role with her husband in the local church over the marriage ministry, in which she and her husband held several yearly Valentine's Day retreats. She has held two high level ordination positions in ministry service as well. 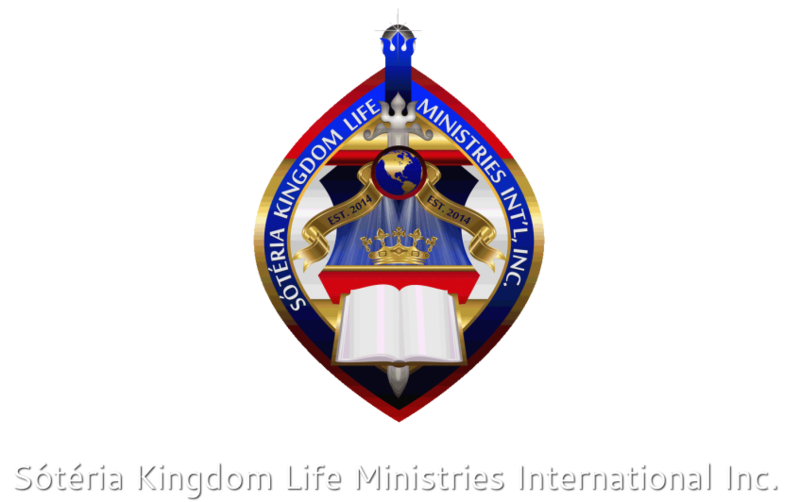 Copyright © 2018 - 2020 Soteria Kingdom Life Ministries International Inc.